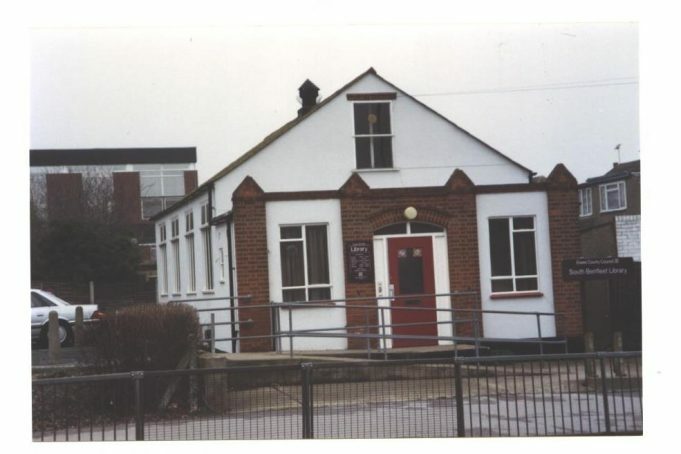 The County Council’s Library service in Benfleet originally started in the 1930s, located in the Council Mixed School (now South Benfleet County Primary School) opposite the present building. The Headmaster agreed to the use of the school hall for two evenings a week provided “the usual Library custom of silence was observed”. 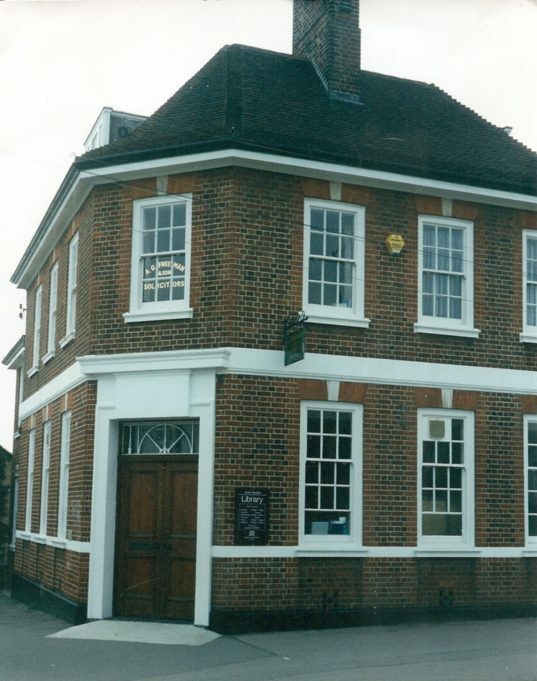 In 1938 opening hours were extended to include Saturdays from 6 to 8.30 p.m.
A service was maintained throughout the war years, (although the blackout made things difficult and opening hours were constantly changed) and in 1940 the Chairman of the Benfleet Library sub-committee cancelled the Librarian’s holiday because he felt the Library was fulfilling an important function in raising the morale of the people. The Library service was always free for the residents of Benfleet but a charge of 2s. 6d. (12.1/2p) a year was made to those outside the district and 5s. (25p) to those not resident in the County. The Librarian was paid £35 per annum. In 1943, the Library was transferred from the School Hall to its present site, which was rented by the Education Committee as an annex to the school from the Elim Mission Trust. The rent was £52 per annum. A preaching desk was considered to be “rather cumbersome” and was removed. Later the Hall was purchased outright by the County Council and a service from the Mission Hall continued until the 1990s, when the old building had become unsuited in size, accommodation and character for the requirements of a library service and its clients. A replacement became a priority. Click this link to see more pictures of the old library. 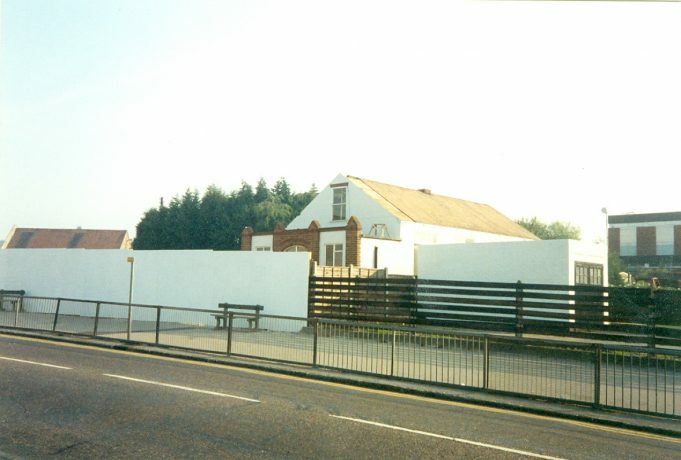 The location of the new library was a major importance and a site with High Street frontage was considered extremely desirable. Various options were considered but the building on the existing site was thought to be the most cost effective and realistic proposal. 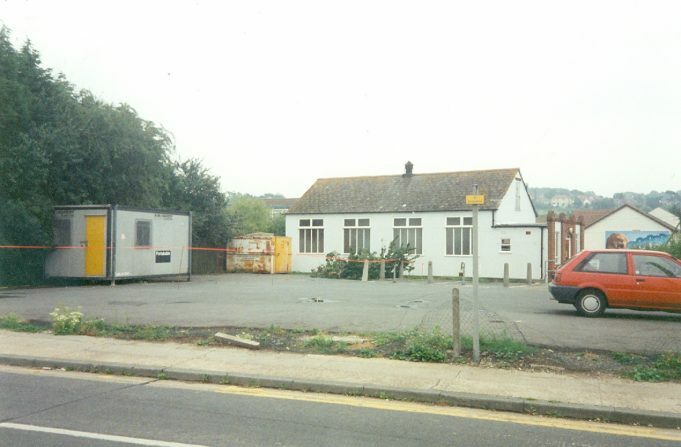 On behalf of the County Librarian, the Director of Property Services for Essex County Council commissioned W.S.Atkins Property Services to undertake the South Benfleet Project; the main contractor was A.W.Hardy Southend. 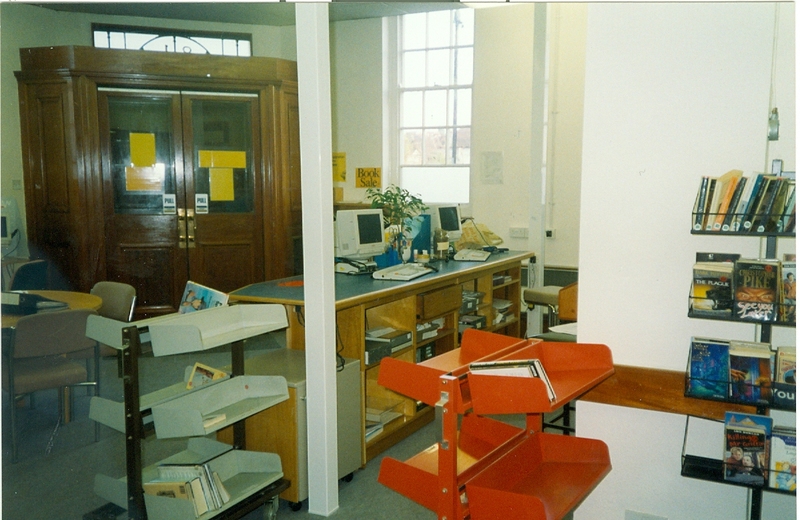 Work on the new Library began on July 19 1994 and a temporary service was provided in the old Barclays Bank further down the road. The words on this page are copied from a leaflet issued by Essex County Council Libraries. (The full leaflet can be read by clicking the link below). Photos are by kind permission of the Library Manager, Sue Stevens and staff at Benfleet Library. Inside the temporary home of the Library.